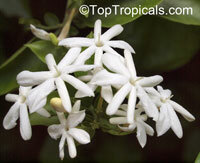 Extremely heavy gardenia type scent. 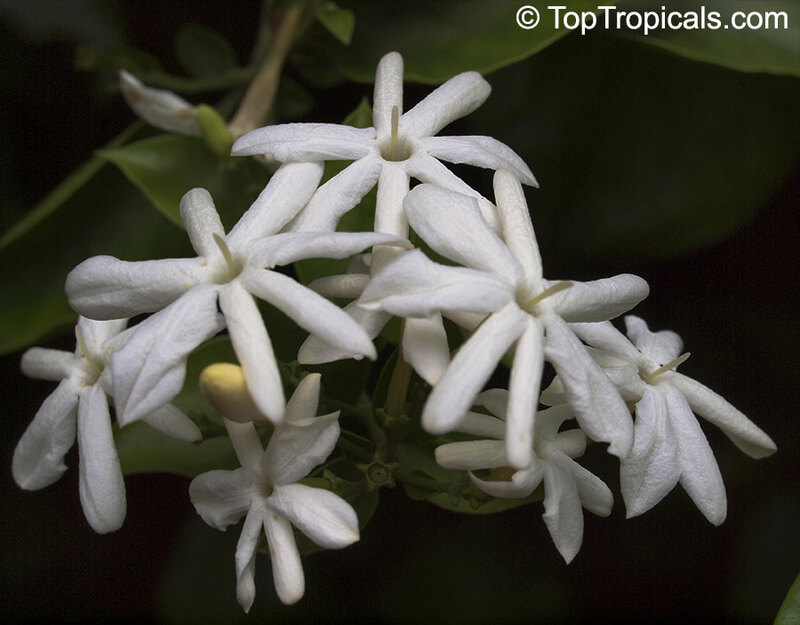 This species is not very common though it deserves a special attention. 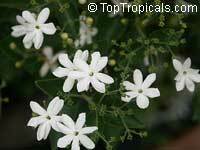 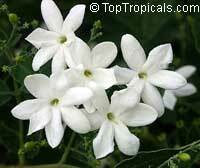 J. Molle is as wonderful plant as a world-famous Jasmine Sambac. A stunning, small scandent bushy plant with simple ovate dark green small leaves and powdery satin white flowers. 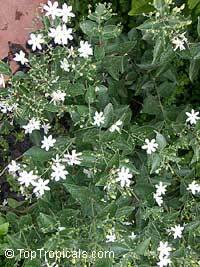 Flowers appear in bunches from summer to fall. 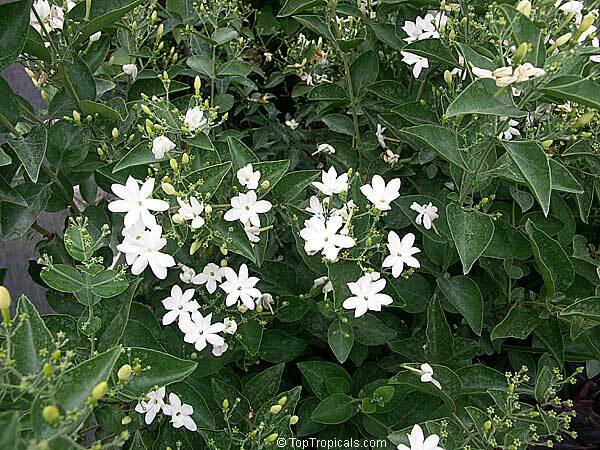 Very easy to grow, takes both sun and shade, dry and moist conditions. 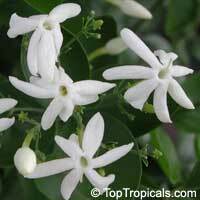 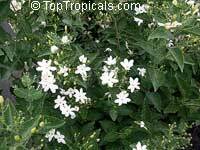 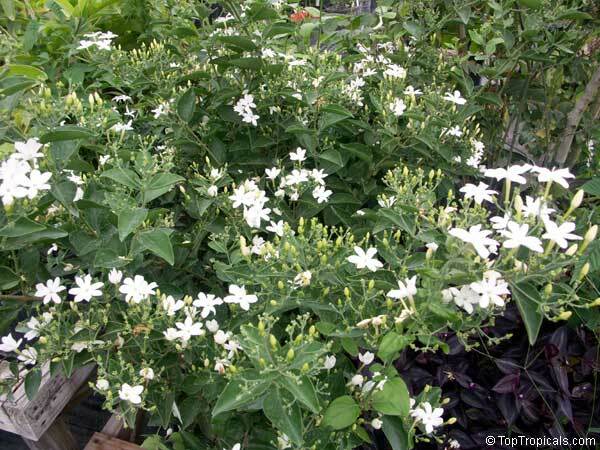 Highly recommended jasmine for scented garden or as indoor plant. 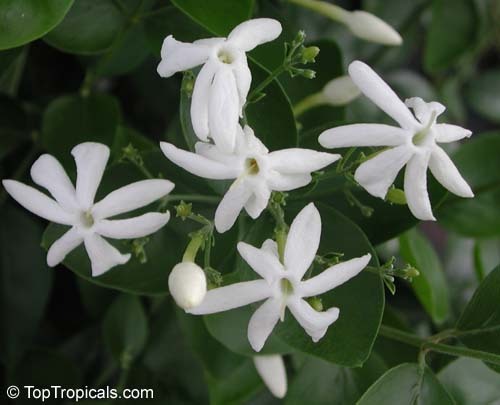 A must for everyone who appreciates fragrant flowers.